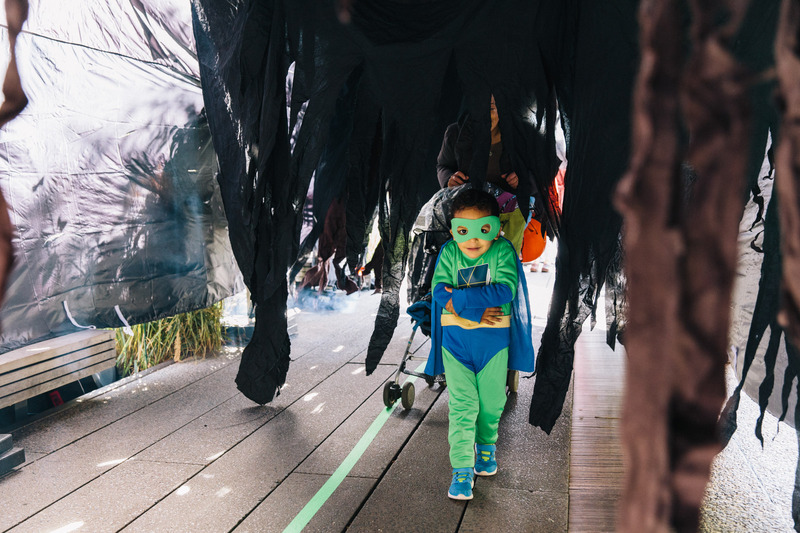 Bring the whole family to the High Line! This is a great place to explore public art, horticulture, and history anytime. We also host special family programs throughout the year. So come play, create, and learn together. We have an email list especially for families! Join to get updates about programs, events, and fun for all ages. Families are invited to join us as we imagine a future for our city that includes everyone's dreams. 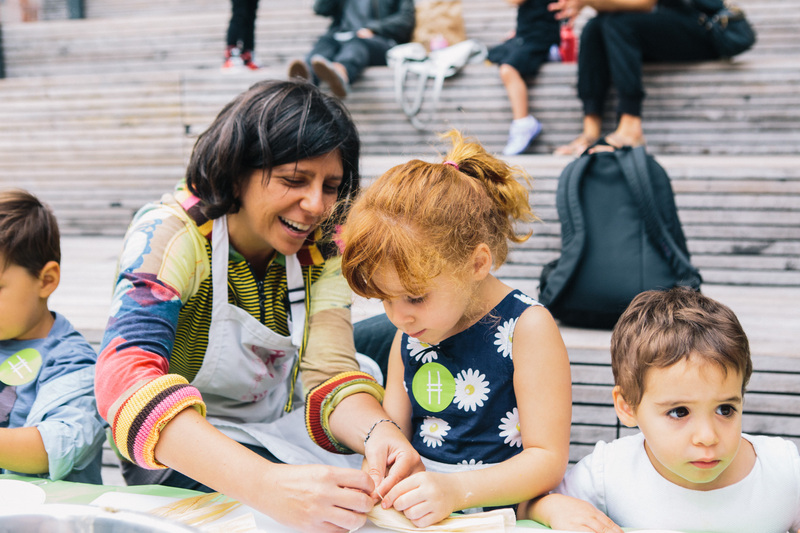 Create, build, and learn as a family at the High Line at our family festival series. Each month during the summer, we explore new themes with interactive activities for children and their caregivers, including stories, art, nature, and design. Meet and work with our High Line Gardeners in the Mobile Garden. 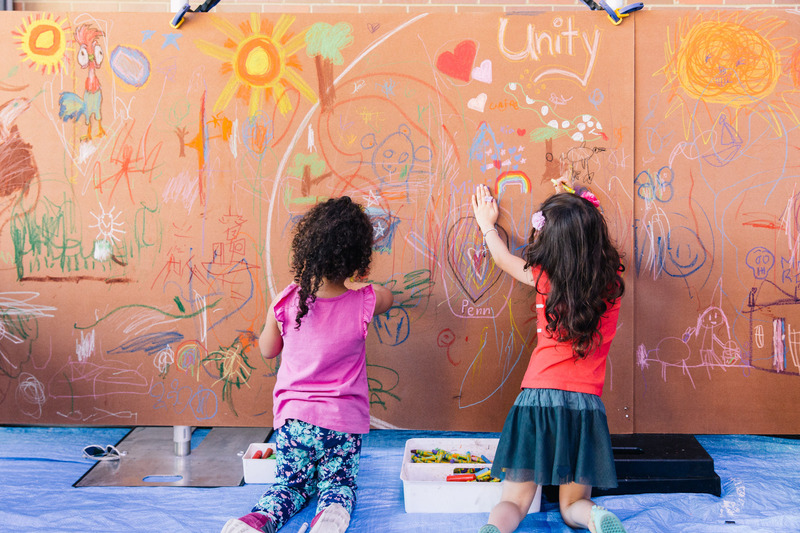 Join a large-scale art project led by local teaching artists. Move and dance through interactive storytelling. Explore the Chelsea Grasslands and Diller – von Furstenberg Sundeck with our two Family Guides. Featuring many of the plants and animals found along the High Line, the guides encourage children to observe, draw, and explore. As a nonprofit, we need your support! 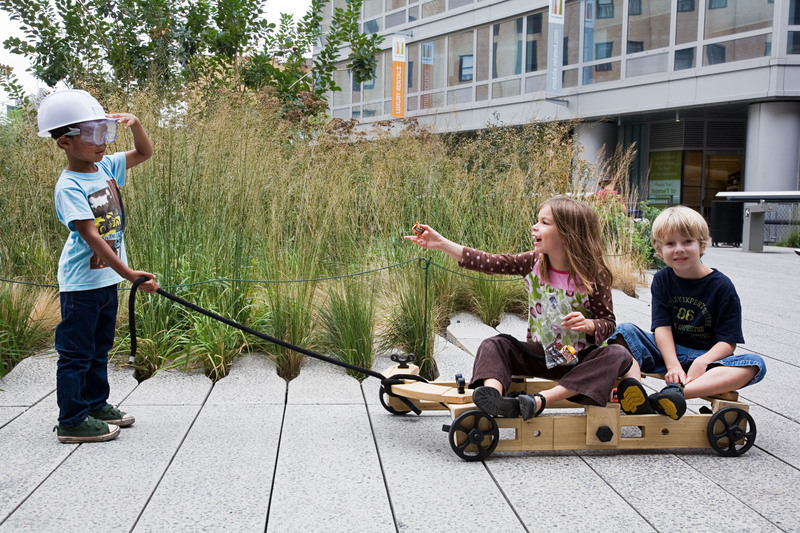 Help us ensure the High Line is always a place where kids and families can create, learn, and grow. Planning a visit with children? Kids can explore and discover anywhere in the park, but family favorites include the Pershing Square Beams, which were specially designed for children to climb and play, and the water feature at the Diller – von Furstenberg Sundeck. To access the park with a stroller or wheelchair, check out our Visit page to see a list of ramp and elevator locations. Please note, during family programs we can’t allow strollers in the park due to space limitations, but we do provide stroller parking instead. Food is allowed on the High Line anytime, including during family programs. So pack a meal or snacks, or explore our food vendors. The 23rd Street Lawn is a great spot for a picnic. Water fountains are available throughout the park. Restrooms with baby-changing stations are available at Gansevoort St. and at 16th St. on the High Line. Both bathrooms are wheelchair accessible. Remember that scooters, bicycles, and dogs are not permitted on the High Line. Please review all our park rules. 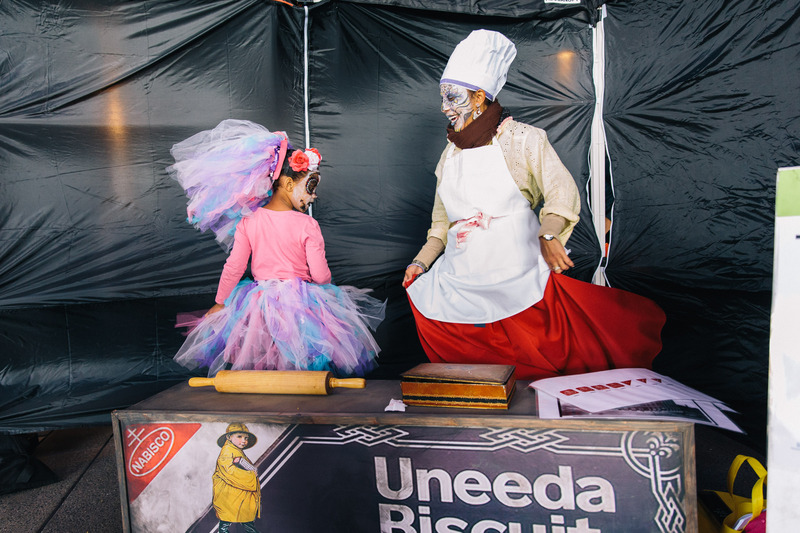 Our family activities are designed to be inclusive of all abilities, and we encourage all persons with disabilities to attend. To request additional information regarding accessibility or accommodations at a program, please contact programs@thehighline.org or (646) 774-2482. Program venues are accessible via (wheelchair accessibility points), and ASL interpretation can be arranged two weeks in advance. For any other questions about our family programming, please email programs@thehighline.org. Some of the world’s most exciting contemporary artists come to the High Line to create new, site-specific artworks—free for all to experience. The High Line offers nearly 1.5 miles of creative and innovative public space designs. Discover your new favorite spot. High Line Families is supported, in part, with public funds from the New York City Department of Cultural Affairs in partnership with the New York City Council, under the leadership of Speaker Corey Johnson.